With shocking new findings revealing that around half of all clinical trial results in Europe go unreported, Matt Fellows explores the roots of this not-so-surprising revelation, what can be done, and why it all is so important. 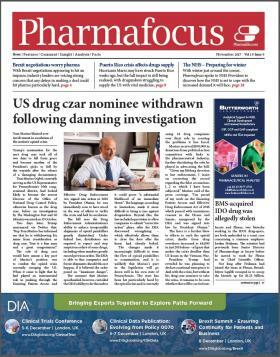 The November edition of Pharmafocus is now live and available to read online here! Amid the global political and economic turmoil taking place, one small pharma story got much less attention than it should have. Not for the first time, the ombudsman for the European Union, Emily O’Reilly, issued a statement calling on the European Medicines Agency (EMA) and AbbVie to cease the withholding of trial data for blockbuster drug, Humira (adalimumab). The company took the EMA to court in 2013 to prevent the publication of data, but reached a compromise, of sorts, whereby redacted documents could be released. 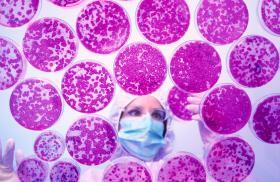 After the legal case – where next for pharma industry transparency? Even in an industry as litigious as pharma can sometimes be, the recent legal drama that has played out in the High Court has been unprecedented. And in an industry used to changes in guidelines and demands from watchdogs, it’s unusual for a company to take a regulator to court, and publically accuse it of acting unlawfully in introducing new obligations for firms in the industry to adhere to. During the time I worked as research, medical and innovation director at the ABPI, between October 2012 and January 2015, there were dramatic changes in the way in which clinical trial transparency was being discussed throughout the R&D ecosystem, resulting in long-awaited improvements. Thankfully, this time, there will be no turning back. The Ethical Medicines Industry Group and Sense About Science - a co-founder of the ALLTrials campaign - have written a joint letter, in support of the Health Research Authority's work to bring about greater transparency in clinical trials to the industry. In a statement, the two bodies say the recent Court has shown "that there are people who want to reverse its recent attempts to do so." Campaigners and industry leaders have urged the Health Research Authority to ensure that its work to bring about full transparency in pharma-sponsored clinical trials is not derailed by its recent legal case. The groups also urged the Health Research Authority (HRA) to not “let the distraction of the judicial review derail you from achieving key objectives”, and to ‘quickly clarify the wording’ of the contentious Q&A document on its website that was the subject of a High Court challenge wrangle.